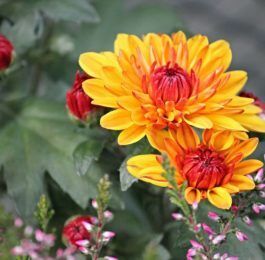 Fragrance in flowers is such a desirable attribute that it’s a perennial complaint of many gardeners that modern varieties of various plants, particularly roses, lack all or most of the fragrance of the older varieties. This is demonstrably untrue of many varieties, of course, yet there is a good deal of truth in the generalization. Some varieties are certainly much less fragrant than the ‘old-fashioned’ roses and a few seem to lack detectable fragrance, but, on the whole, a good modern variety will number fragrance among its qualities. Much depends, of course, upon the individual sense of smell, coupled with the ‘scent memory’ which all of us possess to some degree. It is, in fact, usually well developed and most of us are readily and instantaneously reminded by present scents of past incidents, places, and persons, and although the actual vocabulary of scent is limited, it is usually possible for us to describe a scent fairly accurately by comparing it with another. Thus it is quite usual for us to say that a flower has a lily-like fragrance, or that it smells like new-mown hay. In general, it is true to say that, although the modern roses may be fragrant, the fragrance is lighter than that associated with the ‘old-fashioned’ varieties, which have returned to popularity in recent years, partly because of the rich, heavy fragrance of their blooms, Few gardens are too small to accommodate one or two of these; they may not have the perfectly-shaped blooms associated with the present-day hybrid tea varieties, but around midsummer, and with some kinds, until late in the season, they will fill the garden with the true rose scent which, like all scents, is difficult to describe precisely, but is unmistakable when it is found. Just as distinctive is the true ‘clove’ fragrance of carnations. It is not, alas, found in every variety and sometimes those with the most shapely blooms lack fragrance entirely. The gardener in search of the clove scent will ‘ignore these in favor of such varieties as `Dusky’, ‘Ice Queen’ and ‘Oakfield Clove’ which possess it very strongly. 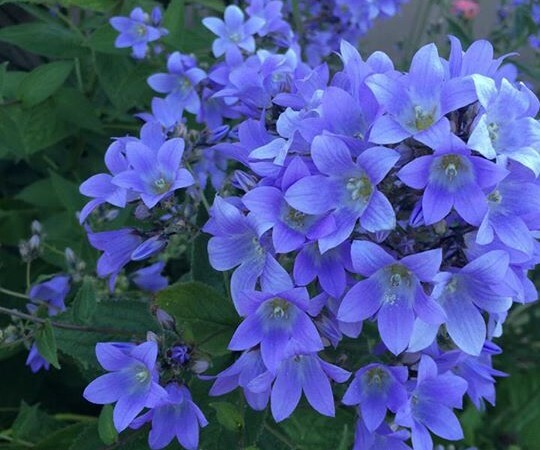 It is also found in the ‘Sweetness’ hybrids, often treated as annuals, grown from seed sown in the spring, and producing single flowers in a good color range. 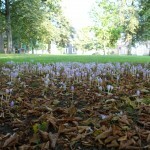 It is usually possible to find a corner in which to plant a clump of lilies. But, again, it pays to be careful about the choice of species and varieties, for not all are fragrant, and some, such as the Turk’s cap lily, Lilium martragon, have a decidedly unpleasant scent. Even among fragrant types there is a great range of intensity of scent. Among those with the strongest and sweetest fragrance are the regal lily (Lilium regale), the madonna lily (Lilium candidum), the golden-rayed lily of Japan (Lilium auratum), usually obtainable in its hardier form, platyphyllum, L. henryi, and such hybrids as ‘Crow’s Hybrids’ and L. x testaceum. Because they are more permanent than other plants, and need considerably less attention, flowering shrubs are becoming more and more popular. Where space is fairly limited it is worth while choosing some of those with fragrant flowers. 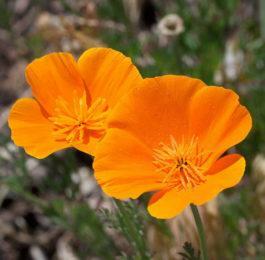 There are plenty of them, blooming at various times of the year. Among those flowering in winter are such fine shrubs as <em>Hamamelis mollis, the wych hazel, with its yellow, cowslip-scented flowers. Mahonia japonica, its yellow flowers strongly fragrant, reminiscent of lily-ofthe-valley, the sweetly fragrant white Viburnum fragrans and V. tinus, the old-fashioned but still excellent laurustinus. These are followed in spring by the native Daphne mezereum, the lilac-purple flowers of which are thickly clustered along the leafless twigs, the honey-scented, yellow azalea, Rhododendron luteum, the double gorse, Ulex europaeus plenus, its golden flowers filling the air with the scent of vanilla, other viburnums including V. x burkwoodii and V. carlesii and the wisterias. Late spring brings the white flowers of Choisya ternata, the Mexican orange blossom and the lilacs with their refreshing, unmistakable fragrance. These are soon followed by the mock oranges or philadelphus, their fresh, sweet scent of orange blossom, bringing in early summer, more powerful than that of the choisya. It pays to choose these with care for not all are fragrant and the intensity of fragrance varies. Among those with the strongest scent are the common P. coronarius, P. delavayi, the hybrid P. x lemoinei and the double-flowered ‘Virginal’. Summer is the time for roses and these have already been discussed. But there are several other fine fragrant shrubs flowering at this time. The sweet jessamine, Jasminum officinale, trained against a wall will bring its delicious fragrance through open windows, lavenders seem to give off their fragrance best on hot summer days, the spikes of buddleias attract the butterflies. Their fragrance is not to everyone’s liking, but can scarcely be classed as objectionable. The white or yellow flowers of the tree lupin, Lupinus arboreus are borne for most of the summer, as are the rich yellow pea blooms of the Spanish broom, Spartium junceum. The climbing honeysuckles come into flower in summer but carry the season on well into the autumn. Again, not all are fragrant but those that are include the late Dutch honeysuckle, Lonicera periclymenum serotina, which is usually still producing its reddish-purple flowers in October. Late flowers will still be found on the buddleias, on Spartium junceum and, of course, on the roses. Both Choisya ternata and the double gorse will often produce a second crop of flowers at this time of year and it is not unusual to find early flowers on the laurustinus, the first of the many clusters which will be produced between late October and April. 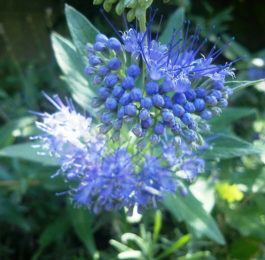 There is not the same wide range of fragrance among hardy herbaceous perennials, nor is it spread over so long a period. But it is worth remembering that among the tall bearded or flag irises are a good many fragrant varieties, some with a lily-like scent, others defying identification but delicious, nevertheless. A good catalogue should be consulted as new kinds are constantly being introduced. Other perennials which have flowers more or less fragrant include the sweet rocket, Hesperis matronalis, Paeonia, especially the old cottage garden paeonias, varieties of P. officinalis, border phloxes, Astrantia carinthiaca fragrant, of all things, of marzipan, the perennial wallflower, Cheiranthus Harpur Crewe’, the herbaceous clematis, C. recta, the border pinks and carnations, not all with the `clove’ scent described earlier, nepetas or catmints, perhaps more accurately described as aromatic rather than fragrant, some evening primroses (oenotheras), Petasites fragrans, the winter heliotrope, its purple or white flowers borne in February, smelling attractively of vanilla, but a plant to be used with caution as it can spread so rapidly and, for this reason, to be confined to banks and rough places, where it can do little damage. Among the primulas there are a number which qualify, including the alpine auriculas, the dwarf P. involucrata, the somewhat taller P. alpicola, P. chionantha and P. nutans. Salvia sclarea, the Clary, is pleasantly aromatic, especially on hot, sunny days, Saponaria officinalis roseo-plena, a double form of a native plant, sometimes known as Bouncing Bet, has fragrant pink flowers and, of course, many varieties of Viola odorata, the florist’s violets, are exceptionally sweetly scented. Those in search of fragrance are more likely to find it among the annuals and biennials and perennials treated as such, than among the hardy perennials for it is a quality possessed by many of the plants that are raised from seed sown in the spring, either under glass or in the open ground (see Annuals). Of these undoubtedly the most popular are the delightfully fragrant sweet peas, varieties of Lathyrus odoratus. As with other plants the fragrance varies a good deal but a good seedsman’s list will make a point of describing those which possess it more strongly than others. Among other annuals and biennials which have it are sweet alyssum (Lobularia maritima), wallflowers (cheiranthus). snapdragons (antirrhinums), ten-week Brompton and East Lothian stocks (Matthiola incana), night-scented stock (Matthiola bicornis), marigolds (calendulas), nasturtiums (tropaeolums), mignonette (Reseda odorata), sweet sultan (Centaurea moschata), the sweet-scented tobacco plant (nicotiana), sweet scabious (Scabiosa atropurpurea), annual lupins and the biennia] evening primrose (Oenothera odorata). All these are popular with most gardeners, but less well known, perhaps, is the Marvel of Peru (Mirabilis jalapa), a half-hardy annual with small trumpet-shaped flowers in various colors, their fragrance identical with that of the sweet-scented tobacco plant. Cleome spinosa, the spider flower is another less common annual, 1m (3ft) or so tall, with spidery-petalled pink or white flowers which add fragrance to their other attractions. Unusual, too, is Calonyction aculeatum, the moon flower, its great white trumpets opening at night. In warm places it is possible to grow this out of doors against a protected south or west wall, otherwise it needs conservatory or greenhouse treatment. Taking them as a group, the bulbous plants include a good many fragrant plants, most of them fairly well known. Among the narcissus the scent range is very wide, from the pleasing fresh fragrance of many of the trumpet narcissus, to the heavy, sickly, almost overpowering scent of the jonquils. Few gardeners would consider tulips to be among the fragrant bulbs, although such varieties as ‘Bellona’, ‘Prince Carnival’ and ‘Yellow Prince’, all early singles and `Orange Favourite’, a parrot tulip, have a certain amount of fragrance. The strong but pleasing fragrance of hyacinths is one of the qualities which make them so popular for early forcing in bowls; a few spikes can fill the room when in flower. Lilies have been dealt with earlier in this article ; but mention should be made of the plant which used to be called Lilium giganteum, but which is now correctly known as Cardiocrinum giganteum, which may reach 2.5-3m (8-10ft) and bears large trumpet-shaped flowers, heavily and almost intoxicatingly fragrant, although one almost needs a ladder to appreciate it properly unless the spikes are cut and brought indoors, when they will last a fair time in water. There are also some fragrant greenhouse bulbs and it is certainly easier to appreciate their fragrance in such close confines than it is in the open air. Freesias, for instance, grown in pots, as they usually are, distil an indescribably sweet fragrance. Tuberoses (Polianthes tuberosa) are not grown as often as they were years ago, but the bulbs, or rather tubers, are obtainable from specialist suppliers and are well worth growing for the sake of the wonderful scent of the flowers in autumn and winter. Many specialists even offer tuberose bulbs for sale online, making it even easier to get started with great flowers. 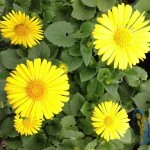 There are other greenhouse plants notable for their fragrance. Here, perhaps, is the place to bring in the lily-of-the-valley (Convallaria majalis) because it is so easily forced in boxes, or grown in pots, either for greenhouse use or for bringing into the living room when the plants are in flower. They can, of course, equally well be grown out of doors, particularly in a shady moist spot just as various other hardy fragrant plants such as Brompton stocks, lilacs, narcissus and lilies of various kinds, may either be grown outside or in pots in the greenhouse, usually flowering a little earlier, even when very little heat is available. Where more heat is available in winter it is possible to grow such fragrant flowers as stephanotis, acacias (usually miscalled mimosa), carnations, bouvardias, the little annual Exacum affine, gardenias, Hoya carnosa, Jasminum polyanthum and other tender jasmines, the jasmine-scented Trachelospermum jasminoides, the lily-scented Datura arborea as well as many others.